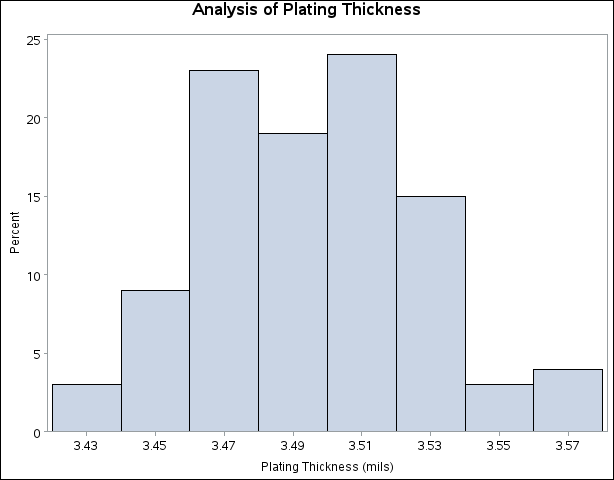 The following statements create the histogram shown in Output 4.14.1. The NOPRINT option in the PROC UNIVARIATE statement suppresses tables of summary statistics for the variable Thick that would be displayed by default. A histogram is created for each variable listed in the HISTOGRAM statement.